July 18, 2014 – Thru my windshield is see things – The windshield is my only summer TV program. I watch it ‘most every day for at least 15 minutes. Michigan UP – Route 134, just East of the city of Detour (East of the Island of Drummond). 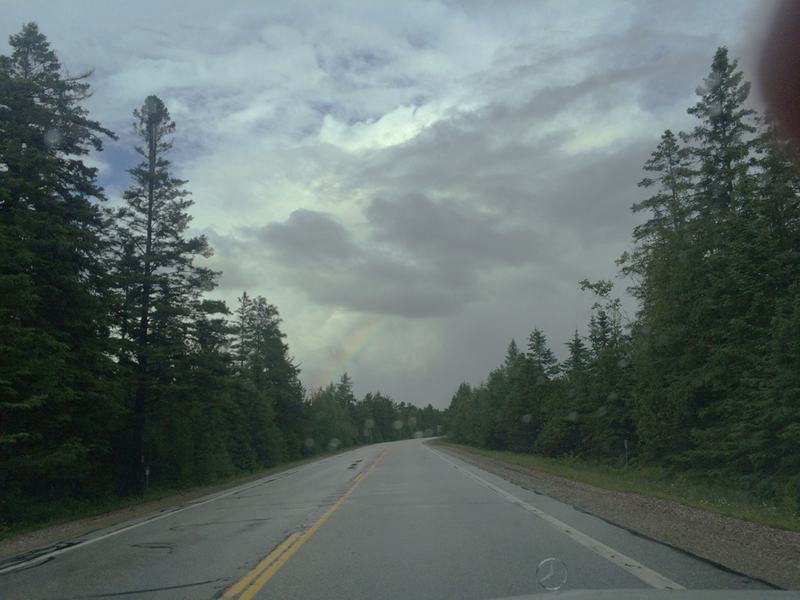 Thru my windshield, I looked up – sensed an approaching storm – I saw a cloud ghost in the sky & the beginning of a rainbow forming over the road. Gleaned meta: Auto setting iphone 5S, Focal in 35 mm = 30.0, f/2.2, 1/1900, ISO 40.